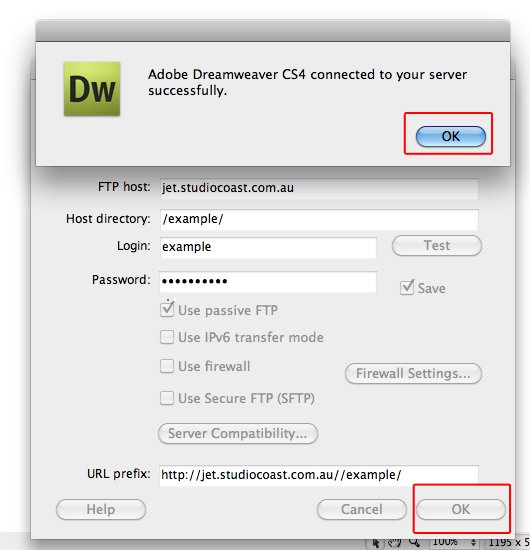 This is a short guide to setting up your Dreamweaver FTP settings. (This example uses CS4. If your program is different, we recommend visiting the Adobe website). 1. 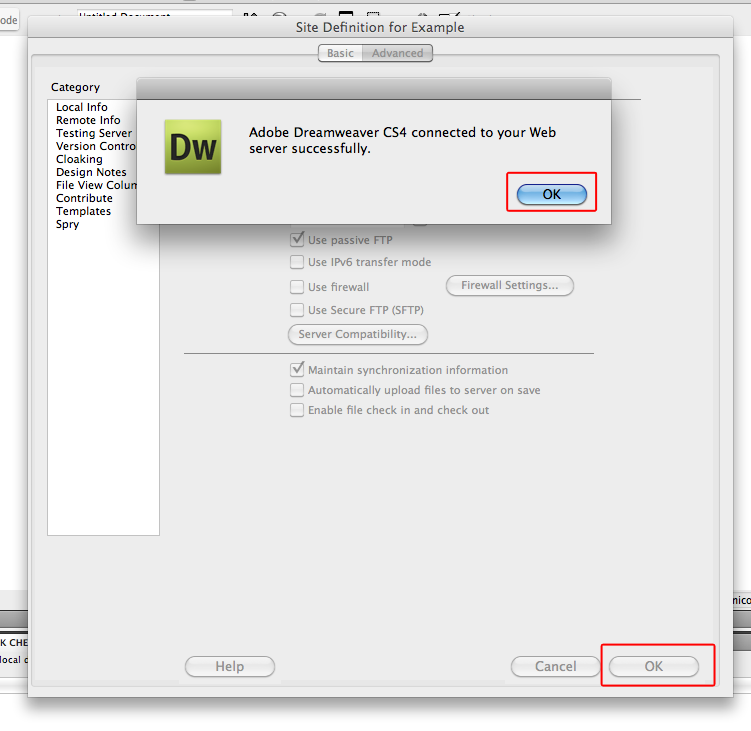 Firstly Select "Manage Sites" from within the "Sites" Menu in Dreamweaver. 2. 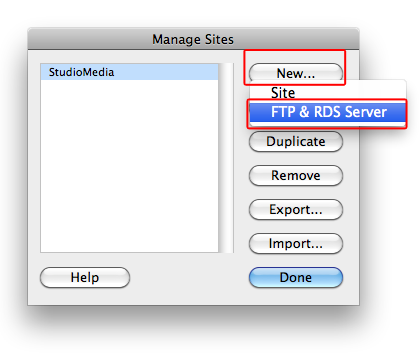 If you have an existing site, you can select edit (see later steps) or simply select "New" and then select "FTP & RDS Server"
3. 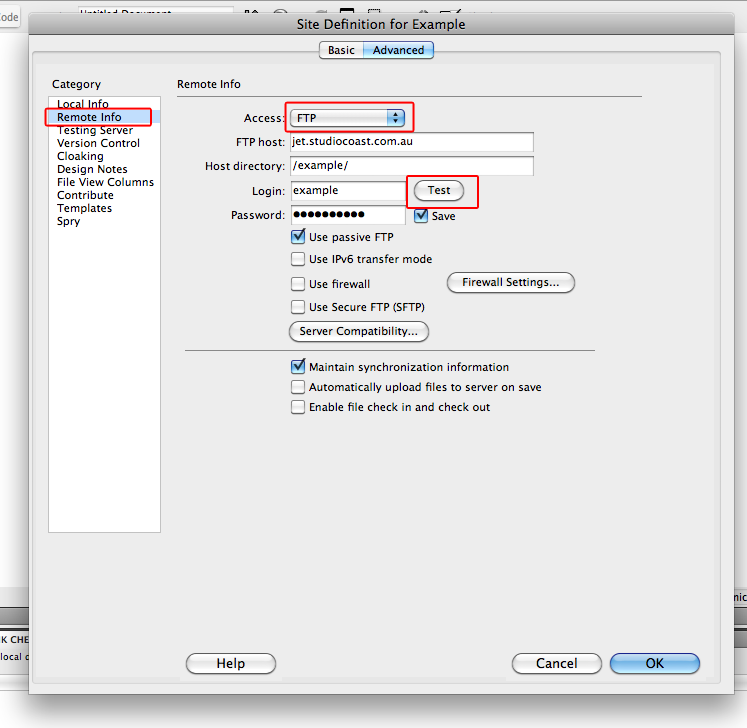 Enter in your FTP connection information. If you are unsure of this, you can find it by going into your account (hostControl) and either select "Account Information" (scroll to the bottom) or select "FTP Accounts" to view the connection information. Once you have filled everything in, select "Test" to test the connection. If successful a notice will appear saying it could connect successfully. If you receive an error, check that your connection details are correct. 4. 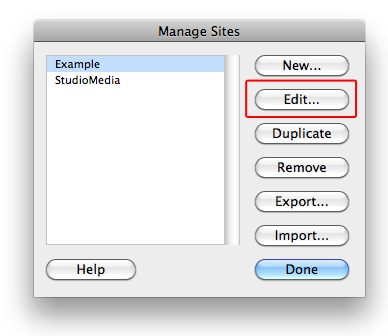 If you are adding an FTP connection to an existing site in dreamweaver, select the site in Manage Sites and then select "Edit"
5. 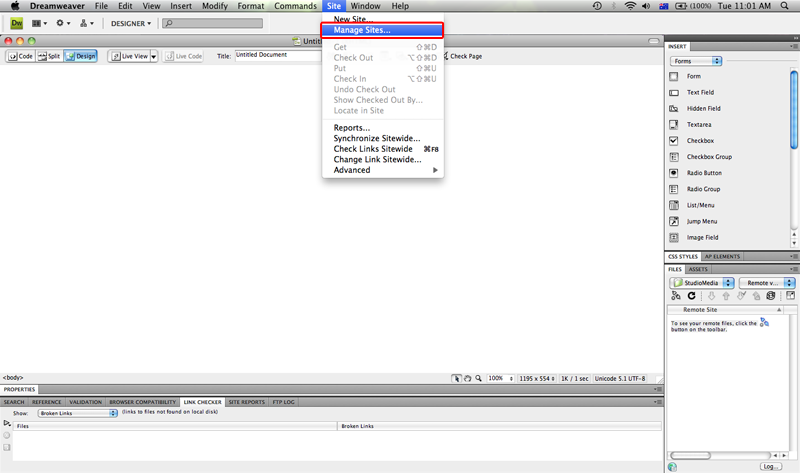 Ensure you are under the "Advanced" tab and then select "Remote Info" in the left hand side menu. 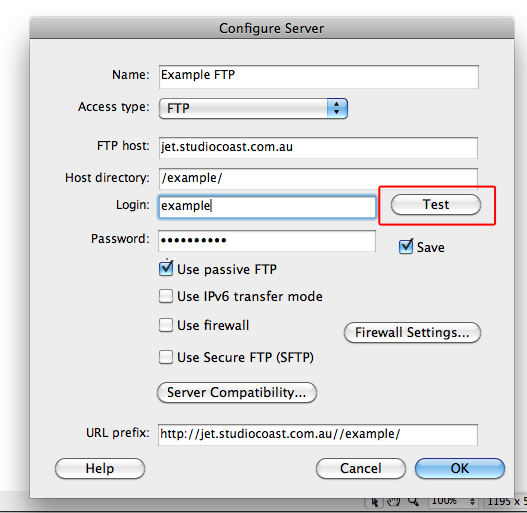 Select "FTP" from the access menu and fill in your FTP details.